You don’t always get to have a say in things — like being lactose intolerant or getting a little brother — but when it comes to picking a president, you do! If you’re interested in casting your ballot this Election Day, it’s important to make sure you know how to vote. Each state is different when it comes to things like voter ID requirements, early voting dates, and registration deadlines, but the overall process for placing your vote is generally the same everywhere. 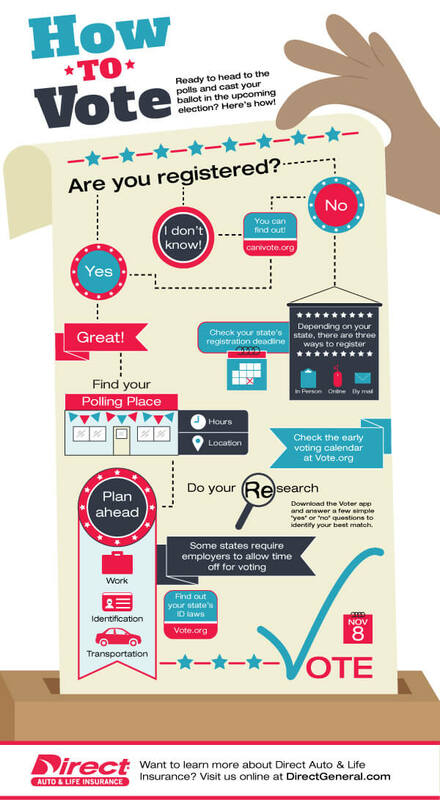 Check out the infographic below to learn more about how to vote and the election process.